The core of this research project is collection of behavioural data. 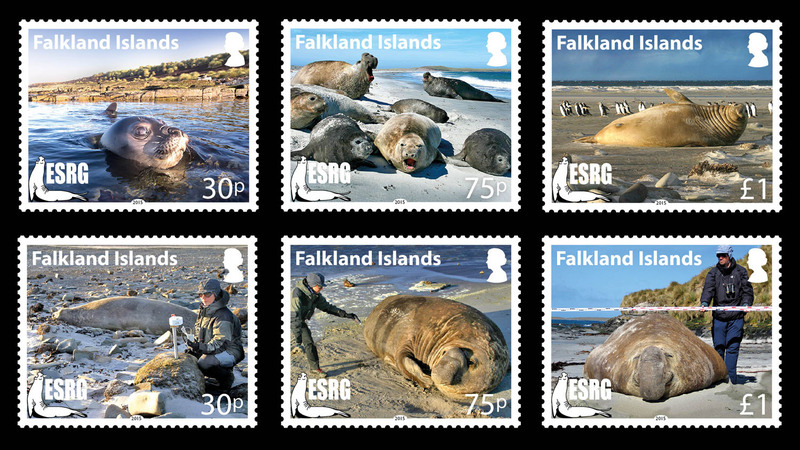 Southern elephant seals are an ideal subject to study the evolution of behaviour, because they have an extreme lifestyle, social system and breeding behaviour. 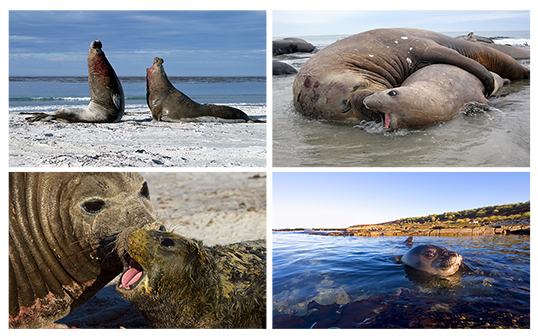 Sea Lion Island is a very good place to study elephant seal behaviour, because seals are accustomed to human beings, and, therefore, show a fully natural behaviour even when observed from close distance. It is very rewarding to be able to carry out field research sure to not disturbe or affect your subject. To improve the quality of the collection we are using an all digital approch, based on the use of palmtop computers plus a complex custom relational database. 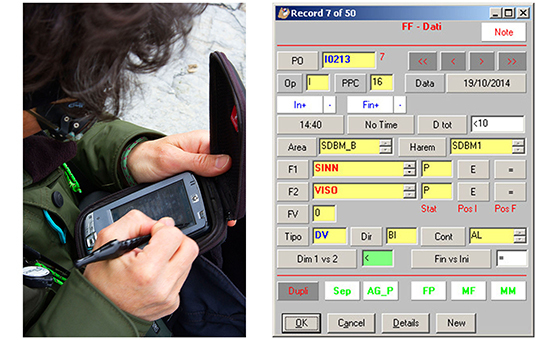 The use of entry forms with menus, popups and lists nit only greatly facilitated the data collection, but reduced errors of the data taken in the field, eliminated the needing to input data from paper notes and log sheets, and permitted to generate reports on the data collected in almost real time. We are particularly interested in variation of tactics of competition and breeding of different males. 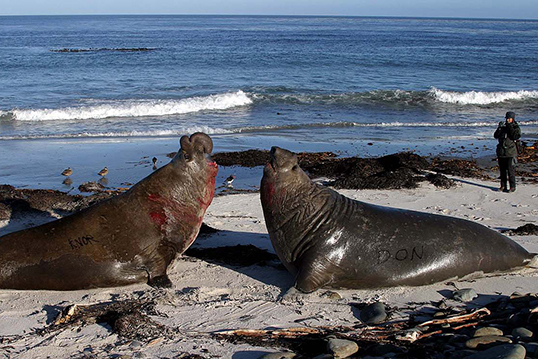 The most impressive component of male elephant seals behaviour is fighting: to get control of an harem, and be able to reproduce, a male has to defeat all the competing males of the same breeding area. Then, to maintain the control he has achieved, he has to constantly keep other males away from females of the harem by enforcing his status by vocal and visual displays. 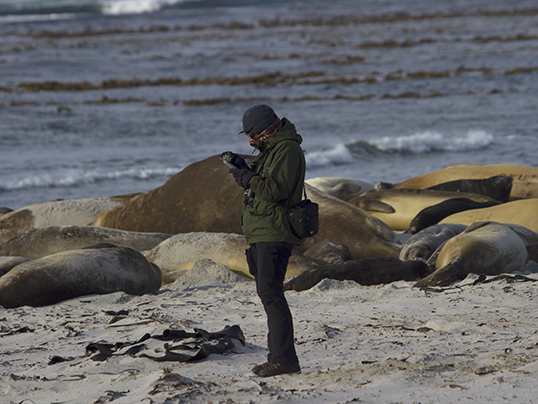 The result of this intense competition is a huge skew in mating: a few males get control of an harems, and may fertilize up to one hundred females (the estimated fertilization success of the most successful male of Sea Lion Island was 108 females in 1995, 110 in 1996 and 123 in 1997), while the most of the other males don't copulate at all. Hence the variation in competitive abilities results in a large variation of breeding success, and this drives an intense sexual selection. By doing thousands of hours of observation of agonistic and breeding behaviour, and by videotaping fights, we hope to be able to determine which components of male phenotype build up a successful fighter and mate.